What way to finish out Friday than with new coupons! Here are the top printable coupons from today. 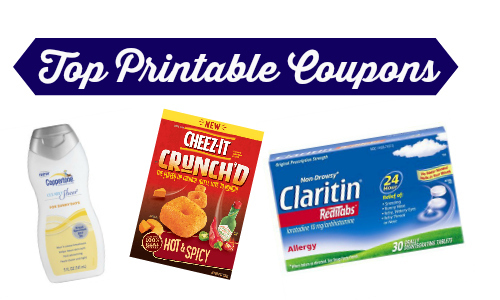 Save on Coppertone, Claritin, and more. Looking for ways to use your coupons? Head over to the new coupons page for ideas. Remember: You can get (2) prints of each coupon per computer! Gap Spring Sale | Extra 45% Off Everything! Cadbury Shimmer Egg Boxes | $1.87 Each at Target!